Soon it will be Groundhog Day when the "prognosticator of prognosticators", Punxsutawney Phil, will be removed from his box...er...emerge from his hole to make a prediction about the remainder of the winter season. 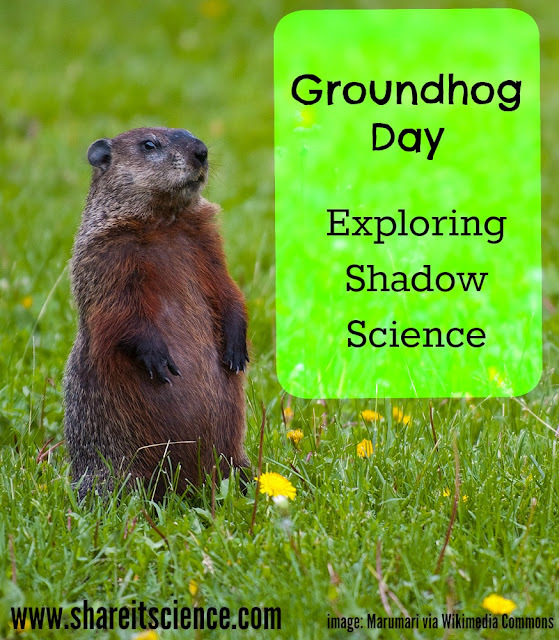 Groundhog Day is another great opportunity to explore science concepts in a fun way. Good ole' Phil brings up more than just the 6 more weeks of winter or an early spring question. How do we predict the weather? What happens with the changing seasons? Can groundhogs really predict what the weather will do? Some of my favorites to explore with children are: What makes a shadow? How can we make shadows? The beauty of exploring shadows is that you can do it outdoors or inside. If it is cold where you live right now, this can be a great way to spend a cozy afternoon. What do you need to make a shadow? A light source, something that blocks the light and a surface for the shadow to land on. Shadow puppets are always a fun way to understand shadows. Using a flashlight or a lamp in a darkened room you can experiment with the size and darkness of the shadows you make. What makes a shadow grow? What makes it become more dim? How does moving the light source change the shadow? For some ideas on how to play with shadows check out this link from Peep and the Big Wide World. You might also want to try out this colored shadow activity from the Exploratorium. Outdoor shadows change throughout the course of the day. Creating an outdoor sundial by marking shadows throughout the day can be a great activity for children, particularly if it is in your own yard where they can check on it often. Here's a fun idea for a human body sundial from the "Create With Your Hands" blog. Always got the best of me. We then go outside and see if the poem makes sense- can we race our shadow? Where is our shadow when the sun is behind us? Who wins the race when we face the sun? Further exploration of the other shadows outside reveals the same idea: shadows change direction depending on their light source. The kids love it and it is truly active learning. 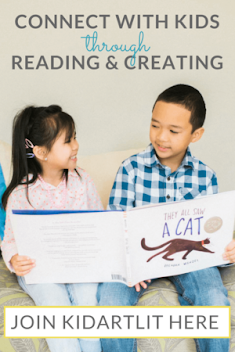 I got the idea for this activity several years ago from ReadWriteThink a website by the International Reading Association. There are several more activities, including this one, that integrate shadows and literacy here. 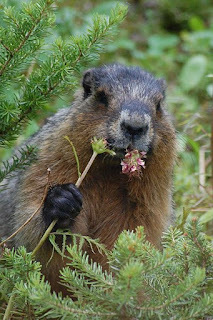 If you live in the northeast and there are frigid temps and snow on the ground, the chance of a groundhog (aka woodchuck) being seen this time of year are slim to none. These large relatives of squirrels are true hibernators, meaning their metabolism slows so much that even the Groundhog Club's Inner Circle of Gobbler's Knob couldn't wake them. However, although it isn't probable, this fun tradition does give us a chance to consider the possibility of warmer weather and another opportunity to investigate science. 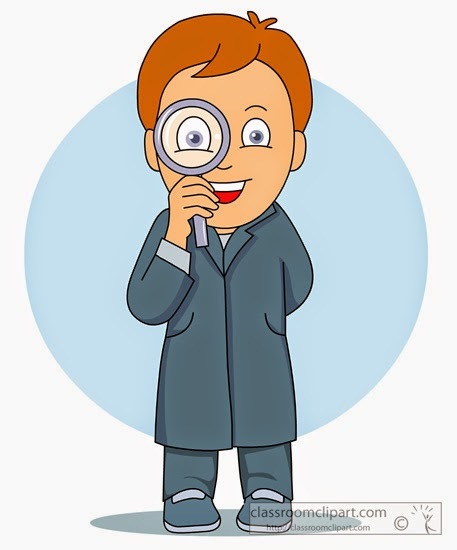 For some great picture book ideas and other activities to do with children, check out Little Miss Hypothesis, Edventures with Children and Growing With Science for posts on Groundhog Day. It has long been debated what caused the mysterious decline of the native population of Rapa Nui, or Easter Island. The prevailing, and conflicting, theories up until this point were that the native people decimated their fragile environment and eventually starved, and the other is that the natives died quickly of diseases brought by the Europeans. Although we will never be 100% sure of what happened on this mysterious Polynesian island known for its giant stone heads, we might be getting closer to knowing the truth. A team of soil scientists and archaeologists recently examined several agricultural sites on the island. They analyzed flakes of obsidian from spear points at three different sites to help understand climate, soil chemistry and land use. They were able to date the land use at each of the sites based on how much water had been absorbed into the surface of the obsidian. The amount of water absorption allowed them to estimate how long the surface had been exposed. In general the soil nutrient levels of Easter Island were less than other islands settled by Polynesians during the same time period. However, the three sites examined indicated a lot of diversity in the quality of the land for agriculture. The soil at the first site on the northwestern coast of the island was dry and high in nutrients. This part of the island was in the rain shadow of a volcano and therefore didn't receive much rainfall. The next site, on the interior of the island, had more rainfall, but less nutrient rich soil. The third, on the northeast coast, was more of a "Goldilocks" site, an average amount of rainfall and fairly high soil nutrients. The team determined through analysis of the dates of land use at the three locations that the native population of the island most likely abandoned the dry and nutrient poor sites long before European contact, and maintained a population at the site with average rainfall and quality soil long after European contact. The results of this study indicate that rather than using the land beyond their means and then dying off, the natives adapted by moving to an area that was more sustainable for agriculture. They were able to maintain their way of life in this area for a while despite the pressures of diseases introduced by the Europeans such as smallpox, syphilis and tuberculosis. This evidence should change the thinking of many from a tale of violent population collapse to a slow adaptation and decline. The story of the people of Rapa Nui has so many mysteries, including their primary diet. Many anthropologists are now using the dental plaque of ancient peoples to understand what they were eating. The native's diet has been a bit of a puzzle as there was conflicting evidence around palm being a dietary staple. Scientists have found many palm phytoliths, a hardened silica fossil plants leave behind in the soil, in the dental plaque of the natives of Easter Island. Other evidence indicates that palms went extinct on the island soon after humans colonized the area. So what were they eating? Further analysis of teeth from remains excavated in the 1980's show that the plaque contained starches that were almost identical to modern sweet potato. They did not find evidence of other starchy foods that had been hypothesized to be part of the prehistoric populations diet, such as banana, taro or yams. Upon further research with sweet potatoes and similar soil it has been found that the skin of the sweet potato takes in the phytoliths of palms as it grows in the soil. Hence, it is now understood that the palm evidence on the teeth is most likely related to their diet of sweet potatoes, clearing up the mystery of the palm phytoliths. No doubt our theories and understanding of prehistoric people on Easter Island and other locations will continue to grow. We will never know for sure what happened in these places, but the allure of the mystery drives us to learn more! 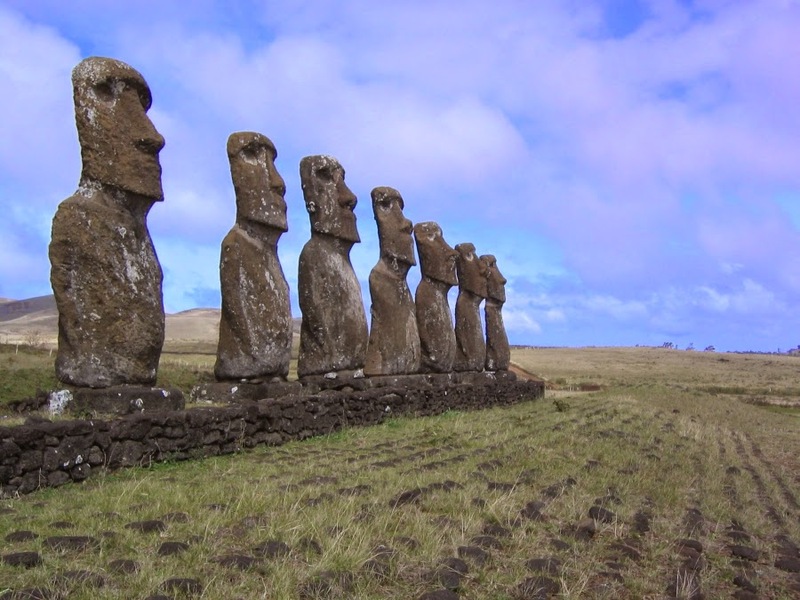 Science Daily: "Easter Island Mystery: Why did the native culture die out?" Science Daily: "Dental plaque reveals key plant in prehistoric Easter Island diet"
Science News: "Stones challenge dating of Easter Island collapse"
Another tale from the weird and wild world of animals! Cone snails are a large group of deadly snails. You probably don't usually think of snails as being deadly, but once you see these critters in action you'll understand why. 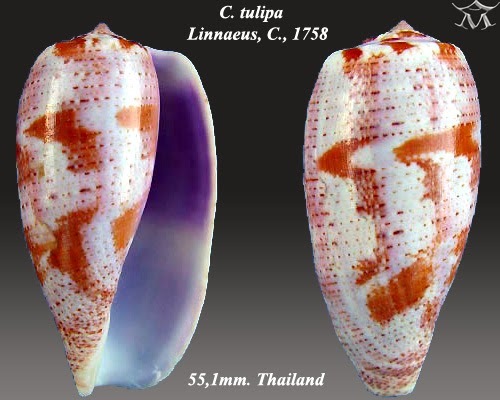 Cone snails are predacious, and the variety we are focusing on here, Conus geographus and Conus tulipa are aquatic, fish-eating snails. These 4-6 inch long snails harpoon their prey and inject them with venom, a cocktail of toxins that cause paralysis in their fish meal. The snail then proceeds to engulf the slowed fish with its expandable mouth. Scientists have just published research indicating that one of the ingredients of this fish toxin is insulin. This is particularly interesting, because it relates to the prey's metabolism versus its nervous system. Up until now the toxins and mechanisms for the cone snail's venom and hunting habits were identified only as neurotoxins. As most of us know, insulin is a hormone that regulates metabolism. Insulin is produced in humans naturally, and in cases where the body does not produce the necessary insulin, such as diabetes, it is given to help regulate metabolism and balance out the production of glucose in the blood. 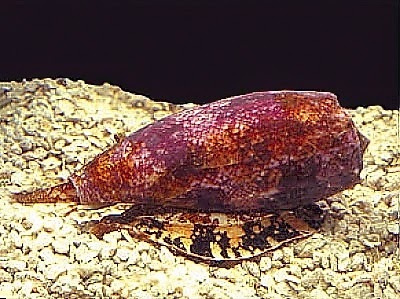 The insulin found in the snail venom is specific to fish, rather than molluscs. The snail is making very specific insulin which makes the blood sugar of the fish drop and quickly makes them groggy. In concert with the neurotoxins in the venom, the snail very easily immobilizes its meal. Researchers believe that the insulin slows the fish down long enough for the snail to inject more of the venom into it, assuring its prey is able to captured. This is a great example of the diversity of hormones and how important body chemistry is. In some cases, insulin is used to restore regular metabolic function, in other ways it can be part of a deadly hunting strategy. Studies like these are a great way to integrate, biology, chemistry, health, endocrinology, animal adaptations into a science lesson! For further reading on the predatory adaptations of sea life, check out my post on electric eels. Science News: "Cone snail deploys insulin to slow speedy prey"
Live Science: "Venomous Cone Snails Weaponize Insulin to Stun Prey"
IT SPROUTED! Those of you who follow this blog probably remember my "Saturday Science Experiment" post a few weeks ago about growing plants from kitchen scraps. I took a grapefruit seed and put it in a plastic baggie with a damp paper towel. I checked it diligently the first week and then it slipped my mind for a little while. I saw the baggie yesterday and decided to check. Low and behold, the seed coat had slightly split and there was the radicle, or the first part of the seedling to emerge during germination. If all goes well the sprout will continue to grow and I'll have a new houseplant. This post contains affiliate links, please see disclosures for more info. I have been honest with you all about my crazy houseplant habit. There is something to be said for a splash of color around the house when it is so cold and icy outside. I've been enjoying having some extra flowering houseplants inside this winter. Before we got our first frost I dug up a begonia and a primrose that I had in my outdoor flower box to keep inside for the winter. As I continually pinch off the blossoms as they fade, I have had an ongoing supply of purple and red blooms throughout the past few months. I am looking forward to the Paperwhite blossoms from bulbs we were gifted during the holidays to open. If I get close enough to them I can already smell their sweet fragrance. Paperwhite bulbs, a type of narcissus, are often available around the gift giving season. You might even find some leftovers on sale now. They grow quickly as soon as they are potted, making it a quick and easy burst of springtime during the winter. There are a few pink buds on my Christmas cactus and the African violets are just taking a break after a long period of blooming. My Gloxinia is headed down to the basement for a few weeks of cool, dark dormancy. There are so many different plants and flowers you can grow indoors, and many benefits to your health and psyche if you do. Plants have been researched and findings indicate that not only do they help to keep the air fresh and clean, they can help fight colds, improve cognitive function and reduce stress, anxiety and depression. 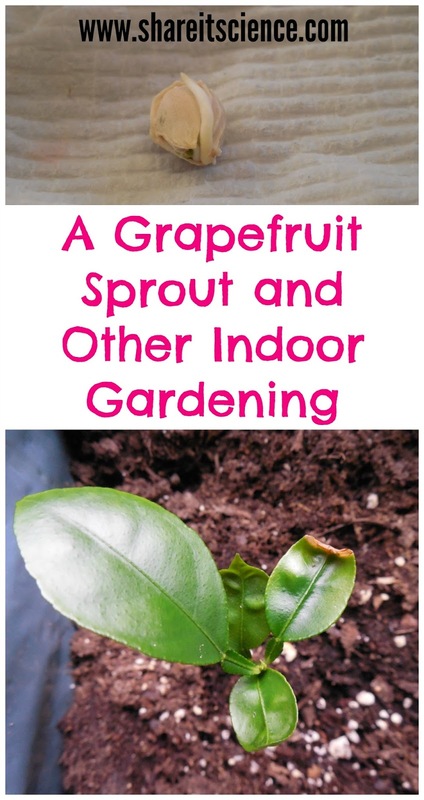 I believe anyone can grow a plant- take it from me, all you need is a grapefruit seed, a plastic baggie and a damp paper towel! Inspired? Check out this list from Better Homes and Gardens of the 24 easiest houseplants you can grow. I would also recommend one of my favorite go-to guides for caring for houseplants: The Complete Houseplant Survival Manual: Essential Know-How for Keeping (Not Killing) More Than 160 Indoor Plants by Barbara Pleasant. Have houseplant ideas or advice? Comment below! What if we could print and reuse the same piece of paper without the recycling process or any ink? This could be a reality in the near future. Scientists have developed a process to print words on a "paper" using light. The surface that they have experimented on is a type of plastic, however, further work will be done to use the same principles to print on our traditional paper. The process involves a reaction between dyes that are added to the paper and UV light. 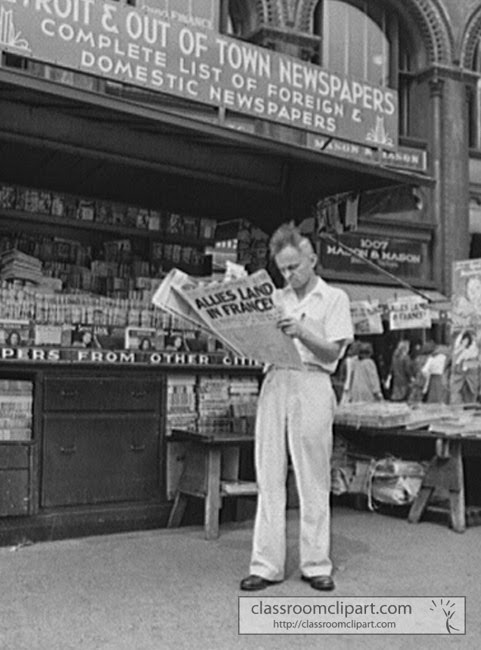 One-use newspaper could be a thing of the past! The rewritable plastic film, or "paper", is made by adding a dye, a catalyst and a thickening agent. The film is exposed to UV light and words that are printed on a stencil are transferred onto the film. The main idea behind this reaction is that electrons are moved around when exposed to UV light and oxygen. This is an example of a redox, or oxidation-reduction reaction. The paper is colored by the dye, and when it is exposed to the UV light the dye gains electrons (this is the reduction reaction) and the color disappears. When exposed to oxygen in the air, the dye loses electrons (the oxidation reaction) and the color reappears. Cellulose is added to the paper to slow the reaction. Otherwise, the words would fade away much more quickly than we could read them! So far, the researchers are able to print on the paper up to 20 times without losing contrast and resolution. The printing remains on the paper for several days. It is possible to speed up the "erasure" of the words on the paper by exposing it to a heat source. This type of printing would be best for periodicals, such as a newspaper where it is read and then discarded as the writing is only temporary. The long term goal of the project is to develop the process on traditional paper that would be able to rewritten up to 100 times. Science News for Students: "Rewritable paper: Prints with light, not ink"
Science Nutshell: "UV Light Used to Create a Rewritable Paper"
You Haven't Missed Your Chance: Great Comet Viewing! If you haven't spotted the Lovejoy Comet yet, there is still time! The next few evenings are supposed to be excellent viewing. Visit this Sky and Telescope page for more info and some sky maps directing you where to look! I have been on at least three space missions with my sixth grade class. No, I'm not an astronaut, and no, (sadly) I am not Ms. Frizzle. We have been able to join up with the International Space Station (ISS) via the Sally Ride EarthKAM program on several different occasions. EarthKAM, or Earth Knowledge Acquired by Middle school students, is an educational outreach program provided by Sally Ride Science. Through EarthKAM students are able to request images of Earth from the ISS. These images are used to engage students in science, geography, math and much more. EarthKAM is a project created by Dr. Sally Ride, America's first woman in space. When Dr. Ride developed the program in 1995 it was named KidSat. The KidSat camera rode on three shuttle flights to test its abilities. In 1998 the program was renamed EarthKAM and the camera took two more shuttle trips before it moved to the ISS in 2001. When Sally Ride passed away in 2012 the program was renamed once again- Sally Ride EarthKAM. The EarthKAM camera is a permanent fixture on the ISS and makes about four missions each year. During these missions teachers and students are invited to join and make image requests. EarthKAM is a wonderful program for many reasons. It is available to schools free of charge and the only necessary technology requirements are the internet and devices to open the website. Students are empowered and feel a sense of ownership when they request an image and see that the crew of the ISS took an image of Earth for them. A variety of learning opportunities may arise from taking part in a mission. These opportunities could include, but are certainly not limited to: further investigations of space and the ISS, learning Earth's geography through images, using mathematics to determine when and where the ISS will be when requesting an image, or understanding the size and scale of an Earth image, developing communication skills by writing to astronauts and exploring female scientists or careers in astronomy, etc. There are activities available on the website to help prepare and enrich the classroom experience of EarthKAM. In my classroom we've used EarthKAM as part of the Astronomy unit. Studying about the ISS allows students to see that space exploration is real and current. 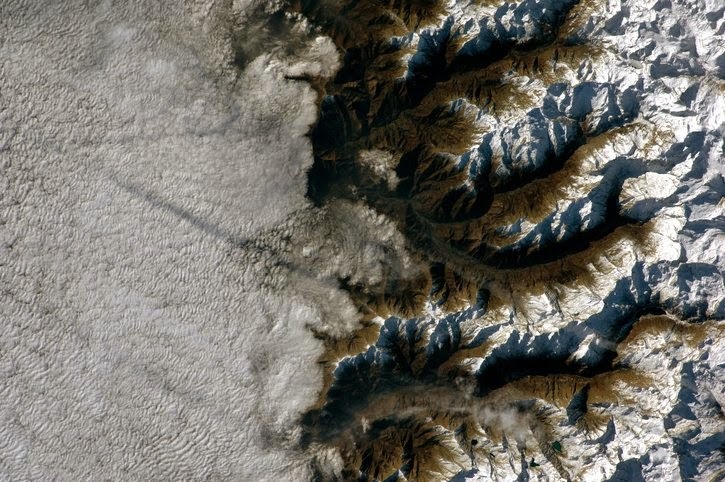 We request images through EarthKAM, view and share them with one another when we receive them. Learning is extended by using Google Earth to understand location and scale. We discuss cloud and snow cover and how that impacts the image. This is a great extension of our participation in the NASA S'COOL program the previous year in fifth grade. We also gain a better understanding of what it means to be in "low Earth orbit". There are many other ways this program and the images it takes from space can be used across the curriculum or through integrated projects. The anatomical structure of the human eye is very similar to that of a dog's eye. Therefore, learning about issues in the eyes of dogs might shed light on understanding similar problems in human eyes. In an international effort that spanned the course of a decade, scientists from Sweden, Finland and the United States teamed up to understand a type of retinal disease found in Swedish vallhund dogs. 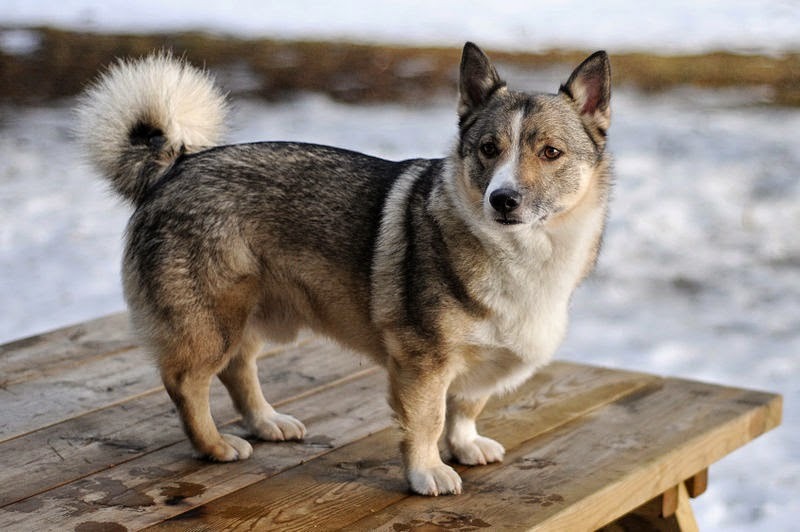 The Swedish vallhund is a fairly rare breed that almost became extinct in the 1940's. These pups have been used for hundreds of years as a herding dog. Despite the dog's short, Corgi-like legs, and diminutive appearance, they are active and effective work dogs. Scientists recently identified the underlying issue causing progressive retinal atrophy (PRA), ultimately blindness, in these dogs. The blindness is caused to a gene defect on the MERTK gene. This gene defect is associated with one of the most common forms of human blindness throughout the world, a type of human retinitis pigmentosa (RP). This type of human RP is currently incurable, so learning more about the gene defect in eyes that are similar to our own, like those in these dogs, could serve very useful in developing potential human treatments. This research began when scientists from the University of Helsinki discovered some abnormalities in the eyes of Swedish vallhunds in the 1990s. In 2004, the same problems were brought to the attention of a researcher at the University of Michigan and an international collaboration of scientists began shortly after. With a strong team of researchers, this group has been able to not only identify a new disease and the genetics behind it, but has also investigated glaucoma in the Norwegian Elkhound. They were able to develop genetic testing related to glaucoma to help breeders prevent it. Plans for future studies include learning about possibilities of a MTERK inhibitor that could serve as a therapy for this type of blindness in the Swedish vallhund. Although it will take time, these studies could give way to important information on how to prevent blindness caused by human RP. Several studies have been completed on dogs that may have direct impact on understanding the health of humans. In 2010, work with Staffordshire terriers linked genes for a rare and fatal neurodegenerative disease in humans and the dogs. In 2011, researchers found that genetic mutations in Tibetan terriers was also found in a fatal human disorder related to Parkinson's disease. In 2013, studies of the Dandie Dinmont terrier began to pave the way to understanding the gene behind a certain type of glaucoma associated with human glaucoma. These are just a few examples of how learning about one of our favorite types of animals could mean dogs truly are man's best friend! Science Daily: "Discovery of mutated gene in dogs could help treat blindness"
Nature World News: "Mutated Gene in Dogs May Open Door to Blindness Treatment in Humans"
Michigan State University: College of Veterinary Medicine: "International team identifies gene mutation responsible for blinding disease"
I have just checked the grapefruit seed that I spoke about in last Saturday's post: "Grow a Plant from Food Scraps". No sprout yet, but no moldy mess either, so I'm going to wait it out. I guess I'm not the only one thinking about growing things this time of year, as I just received my "Kids Garden News" from www.kidsgardening.org. They, too, have made some suggestions for starting kitchen scrap plants that you may want to check out here. 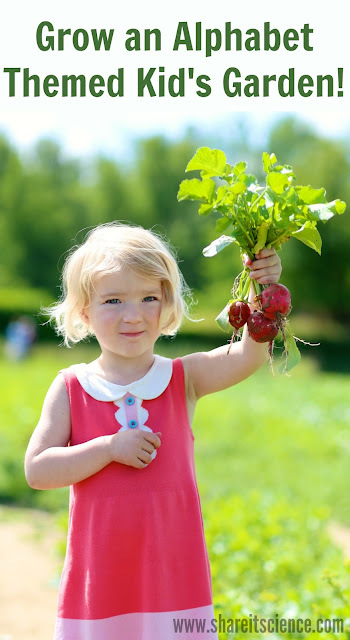 If you are not already familiar with Kids Gardening. by the National Gardening Association, I'd recommend checking it out. The lack of progress with my grapefruit seed seems to be the theme of the week when it comes to science observations. On Wednesday night we were excited to check out the Lovejoy Comet. We were not successful spotting it from my house that night, nor the following two. This is not the first time we have been skunked in the past few months when it comes to astronomy. We put in an honest attempt to view the Geminid meteor shower as well, but only saw a few. Some of my students have seen the comet, which is exciting. Although it is easy to get discouraged when you don't get the results you expect or hope for in science it is best to remember that the effort is not wasted. Good science observations and experiments always lead to more questions. 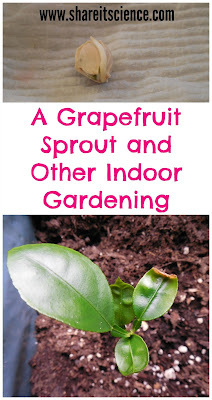 For me today they are, "Am I keeping my grapefruit seed moist enough? ", "How was this fruit grown, and did that have an effect on the viability of the seed? ", "Is the seed being kept at an optimal temperature for germination?". I continue to look for the comet each evening because I have lingering questions. "Was it too bright the first time we looked?" "Am I interpreting the tools I have correctly to look in the right spot?" "Was I looking at the right time? If not, will I see it at different times?" "What is that other bright object near the Moon?" (Actually answered that one: Jupiter). Don't run with scissors. Wait 40 minutes before swimming after you eat. If you don't dress properly outdoors you'll catch a cold. Chew your food 24 times before swallowing. Moms are full of advice, most of which has been handed down from their mothers. Although it is often good advice, seldom is it scientifically sound. A recent study, however, gives some credence to the idea that staying out in cold temperatures can make you sick. Although through the years many have argued against this morsel of advice, scientists have found that the rhinovirus, or the common cold, reproduces more quickly in colder temperatures. It has been understood for a while that the common cold replicates itself better in the cooler temperatures of the nose than the warmer temperatures of the lungs. Researchers at Yale studied how this fact is related to our immune response against the virus. They compared the immune response to the cold virus in mice at 37 degrees Celsius (regular body temperature) to the immune response in mice at 33 degrees Celsius. They found that the immune response was not as effective at the cooler temperatures. They also discovered that the temperature is what made the difference in how the immune system behaved, not the virus itself. Although this study was carried out using the immune response of mice, it is very likely that the principles apply to humans as well. This research not only backs your mom's advice up, but also could give way to understanding how cold temperatures can affect children with asthma. At any given time approximately 20% of us are carrying the common cold around in our noses. This time of year is often when it causes us the most trouble. 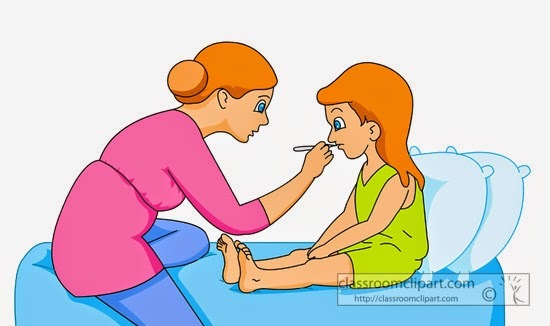 Some good advice that the CDC, doctors and mothers would agree on is to wash your hands often with soap and water, try not to touch your eyes, mouth and nose when your hands are not clean and steer clear of those who are sick. Do us all a favor and take a sick day if you need to, this may be easier said than done for some, but it makes a big difference! Another bit of new advice doctors might give is to give and receive more hugs. Yes, that's right, another recent study published in Psychological Science indicated that people who have more social support and receive more hugs as a result are less likely to catch the common cold! Additionally, the researchers found that people who already had a cold and had this increased level of support and hugs had less severe symptoms. This research is so new it might be too early to resolve the discrepancy between the advice to steer clear of sick people and the notion that they need more hugs, nonetheless, some thought provoking information! New words to live by for a healthy winter: Give hugs, wash your hands, cover your nose in the cold. I think moms everywhere would approve. Science Daily: "Cold virus replicates better at cool temperatures"
Medical News Today: "Cold noses more vulnerable to catching colds"
Share it! Science: "What is a virus anyway? Medical News Today: "Could a hug a day keep infection at bay?" Comet Lovejoy: Coming to a sky near you! Some of you may have already had the opportunity to see C/2014 Q2, or Comet Lovejoy, over the holidays. During the next two weeks, we'll have the best viewing of the latest "dirty snowball" to grace the skies. The evening of January 7th, this Wednesday, should be the best time to view the comet, as it will be at its brightest and the moon will not interfere with viewing. Before we get too far ahead of ourselves, let's put on the brakes and understand what it is we are actually seeing when we observe a comet. Comets are chunks of rock and ice leftover from when the stars and planets formed billions of years ago. These chunks usually hang out in the Oort cloud which is an icy shell of debris in solar orbit far outside of our solar system. The gravitational pull of the sun is not as strong at this distance, so on occasion these icy chunks are jarred loose of their orbit and make their way into our solar system. While they are in our solar system they settle into orbits that are not as predictable as the planets. As the comets get closer to the sun the ice begins to melt and this water vapor becomes the characteristic tail of the comet. The tail is the dirty melted water in its gaseous form. Comet Lovejoy is named after its discoverer, Australian amateur astronomer Terry Lovejoy. Terry Lovejoy has discovered 5 comets to date. Lovejoy spotted this one back in August, 2014. This comet is what we call a long-period comet. This has not been its first trip near Earth, but with an orbital period of approximately 11,500 years you most likely missed it last time! It is thought that Comet Lovejoy won't be passing through again for about 8,000 years, so if you'd like to to see it, this is your chance. Like many comets, Lovejoy has a bright green color. This coloration is due to molecules of diatomic carbon in its head that fluoresce in the ultra-violet light of the sun. 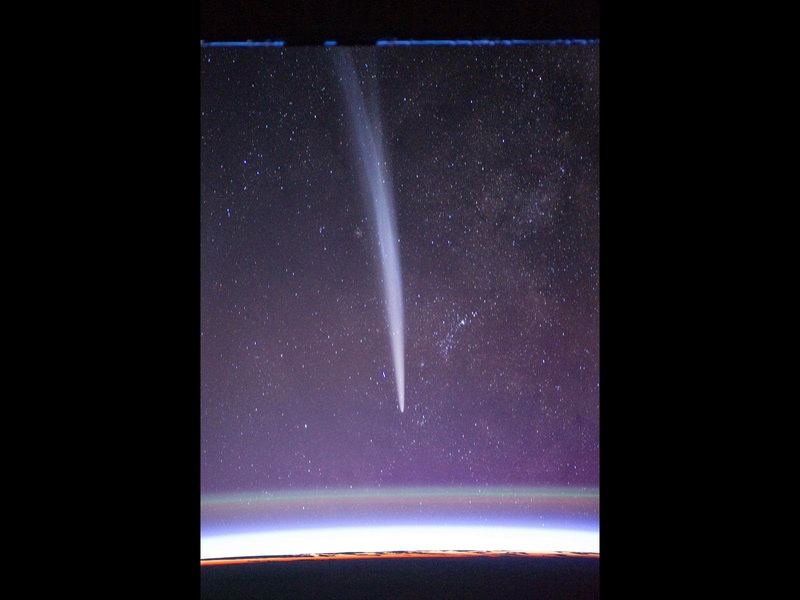 The dust in the head of the comet also reflects sunlight, hence the bright streak we observe. There are many tools to help you orient yourself to the night sky in order to catch a glimpse of this comet. You can spot it with binoculars, or if you are in an area with no light pollution, you probably will be able to see it with the naked eye. The comet is currently just below the constellation Orion, which is usually pretty easy to spot. For best viewing you probably want to head outside around 9-10:00 PM. 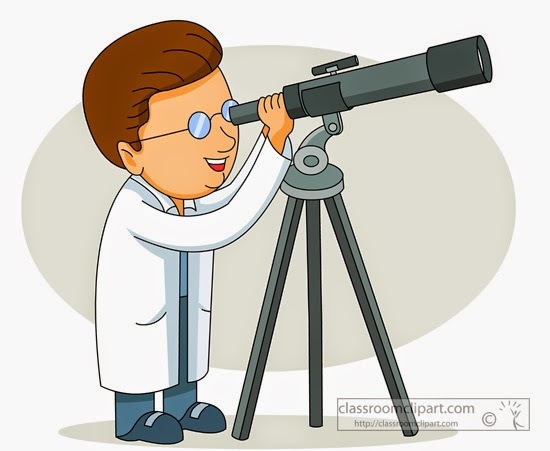 You can use this guide from Sky and Telescope to help you find it, or some of the tools I suggested in my post about viewing the Geminid meteor shower. So get out your trusty star wheel, fire up your Google Sky Map app, or use Stellarium on your computer to help you locate the constellation Orion, and then Comet Lovejoy. Universe Today: "Australian Amateur Terry Lovejoy Discovers New Comet"
Sky and Telescope: "How to see Comet Lovejoy"
Universe Today: "Finding Lovejoy: How to Follow the Path of Comet 2014 Q2 Through January"
NASA: Make a comet model and eat it! I'll admit it. I have a plant problem. Whenever I see seeds or sprouts, I want to try to grow them myself. We were at the feed store the other day and they had rack upon rack of flower seeds packed for 2015. Now, I live in New England, and it is January 3rd. I most likely won't be able to grow flowers outdoors for at least 5 months. I don't know if it is the fact that we've had pretty weird weather this winter and the bits of icy snow in my yard are flanked by large patches of grass, making it look a whole lot like spring...or if it is just my plant compulsion, but I went ahead and bought some flower seeds. I guess I'll just have to be really patient! The good news is, you don't have to wait until it is hospitable for plants outdoors to grow them. Last time I counted my houseplants I had 27 of them (is there a 10 step program out there for me?) and I know I've added to the collection. Several are plants I've grown from sprouts or seeds from produce. We've had several successful avocado pit plants, and I've planted garlic and potatoes that have sprouted from being in the pantry too long. I started my own sweet potato slips from an organic sweet potato last year. This past summer I saved seeds from my tomatoes, squash, sunflowers, marigolds, nasturtiums to try to plant again next year. We've even tried to grow a pineapple from it's top on several occasions, but with no success. It doesn't have me discouraged though, I'll keep trying to grow whatever I can get my hands on. season and I know that you can grow many citrus plants as house plants. I'm going to try an experiment, and maybe this weekend you can too! I am going to wet a piece of paper towel and fold it in half, then in half again. I will put my grapefruit seed in the inside corner of the damp paper and then place the whole thing in a baggie. I'll let it sit on the windowsill and check on it again in about a week. It might sprout, it might not. I'll let you know in next weekend's "Saturday Science Experiment" post. There are plenty of ideas out on the internet of how to grow plants from produce seeds or scraps. I found this account of a grandfather who loves to garden and share the love of growing things with his granddaughter. They sprouted orange seeds. Read about it here at learn2grow.com. 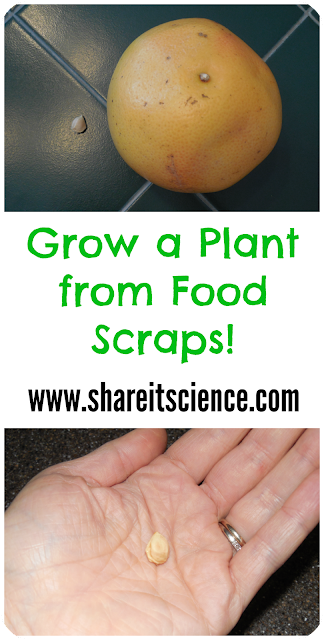 How about this DIY site that has 25 foods you can re-grow from kitchen scraps? If the idea of growing things from kitchen scraps sounds intriguing, I would highly recommend getting your hands on a copy of Don't Throw It, Grow It! : 68 windowsill plants from kitchen scraps by Deborah Peterson and Millicent Selsam. This book includes ideas for growing all sorts of houseplants from produce scraps like ginger root, squash and even kiwi. If there were a plant support group I think I might attend it with these ladies! See it? Share it! Look Who-oo Visited My House! There are some things in nature that are awe-inspiring no matter how many times you see them. About a week before Christmas my dog and I walked out to the mailbox to grab our mail. This is rarely a peaceful experience as our neighbor's dogs, who are always loose, take this as an opportunity to let us know that they believe they own our property too. It was late in the afternoon, the sun was still up, but it was starting to feel like dusk as many December afternoons do. All of the ruckus from the dogs must have spooked the wildlife because as we came back up the drive the song birds were singing and chirping furiously. We both looked up to see what the noisy birds were calling about and just then a Barred Owl swooped down from its roost and landed on a nearby tree branch! A bold songbird flew to the branch above the owl's head and gave it a good tongue-lashing, but the owl, unfazed, remained on the branch, camouflaged with the tree trunk. After observing for a few minutes, we ran inside to get the camera and my husband. We watched the owl for quite some time and it remained there as I continued to peek at it throughout the evening. We have frequently heard the familiar "Who cooks for you? Who cooks for you all?" song of the Barred Owl when walking on our road or through the window at night, and have seen this type of owl several times on our pre-dawn dog walks. So, it was not entirely surprising to see it show itself on this afternoon. Although it was not surprising, it was still amazing. I have been lucky enough to handle these beautiful birds as a wildlife educator years ago, yet even though I've held them up-close there is something different about seeing them in the wild. We live in a wooded area with some remaining old growth nearby, a rarity in New England which was mostly cleared for farm land or logged as it was settled. We're fortunate to have spotted a lot of wildlife since we bought our property three years ago. However, the owl is a reminder of how much is out there that we never see. Had I not seen where the bird landed in the tree, I doubt I would have ever noticed it there. I even had trouble spotting it through my camera lens as it was so well camouflaged. The Barred Owl is a common owl with gray and brown markings. It has brown bars down its chest, hence the name, Barred Owl. They are usually found in forested, or wet swampy areas. In the winter it is not unheard of to see them in areas with bird feeders, like my yard, targeting songbirds or squirrels. This owl is found all over the eastern half of the United States, up into Canada and down through the Idaho and Washington area. If you live in, or can visit an area with Barred Owl habitat, winter is one of the best times to go out and listen for these birds. Usually, as we head into February, the owls are out calling to their mates. They begin their mating and nesting season early to give their owlets a hunting advantage over all of the mammal babies that are born in the spring. Going owling on a cold February night can be a magical family activity. Checking out a copy of Jane Yolen's "Owl Moon " from the library to read to your kids in the next few weeks would be a timely precursor to this outdoor adventure. You might also want to check out this link for some ideas from other families on how to get your kids excited about birding. Speaking of birding, a great bird watching opportunity for you and your kids is the "Great Backyard Bird Count" which takes place February 13-16th this year. See the GBBC website for more details. Before I sign off, here is another great link to some owl images from around the world.